The new Ham Project Pages are VHF/HF Aerial Analyser, A 600MHz Frequency Counter. Then there is a an ESR Meter for Electrolytic Capacitors. With a two tone tester, a dummy load and an oscilloscope, a transmitter can be really put through its paces. 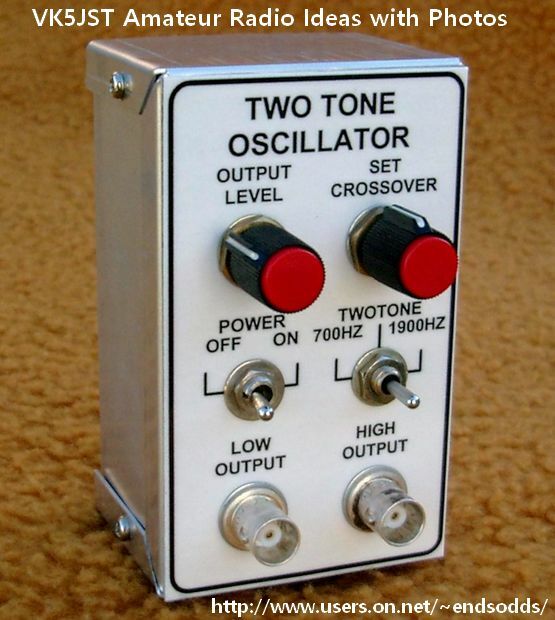 Two tone testing consists of applying two clean non-harmonically related sine waves of approximately equal amplitude to the audio input of an SSB transmitter. The sine waves are typically around 600 – 700Hz and 1800 – 2000Hz i.e. about 300Hz from either end of the audio pass band. This project was published in the September 2004 issue of the Australian magazine “Amateur Radio”.